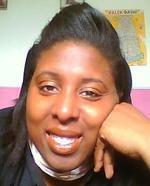 Hi I am a Vocal Coach based in Luton. I have been teaching full time since 2008 and have worked with many singers struggling with their CONFIDENCE to sing. I teach CORRECTIVE techniques to help get the BEST from your voice and advise on song choice that suits your tone and style. I specialise in gospel style singing however can work with all genres including pop, folk and classical. I trained on aspects of Estill and Speech Level and my philosophy is: ONE SIZE DOES NOT FIT ALL. In other words I focus style and approach to the individual in front of me. We will be hosting workshops this year. Currently under research. More details to come in near future. Ongoing project working with inmates at Huntercombe prison to form a choir and host in-house concerts. 4 months of training and mentoring 6 soloists and preparing them for the finals. 2 of my mentees won: 1st and 2nd place. Teaching in local schools working with KS3/4 students, Preparing pupils for Exams(Rockschool) and school performances. Committee member advising on choir aims, organising concerts and annual Gospel Festival. Lessons last for 45-60mins. Lessons booked in blocks of 4. Small deposit maybe required. Only 12 places available. Small deposit required in advance (non refundable). There is no refund for cancellations, however lessons/workshops can be re arranged for another day. It is recommended that students recieve medical advice prior to attending courses if they suspect vocal damage. Symptoms include constant sore throat, pain or persistant coughing when singing.